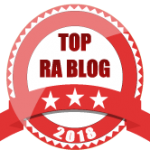 If you’ve followed my blog at all, you know I’ve tried lots of different diets to help improve my RA symptoms and circulation issues. One that I just haven’t been able to stick to is cutting out caffeine. I’m sorry, I just don’t know how to function without the stuff and green tea in the morning…it just isn’t the same as a nicely brewed cuppa coffee (or an almond milk latte – mmm mmm good). I made an awesome discovery recently that is alleviating my guilt of coffee drinking: Add a bit of cayenne pepper and a healthy dose of cinnamon to your coffee grinds in the morning and, walla!, fancy morning coffee with the added benefit of two inflammatory/pain-reducing, circulation-boosting superfoods. I haven’t tried it with ginger yet (another inflammatory/pain-reducing, circulation-boosting powerhouse), but that may be worth a shot too.